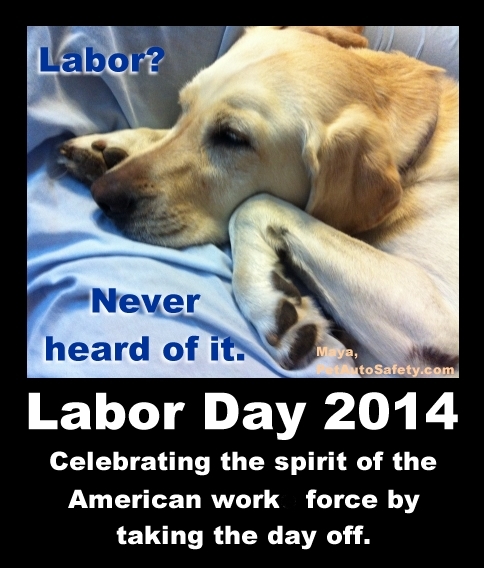 Despite the above photo caption, Maya was very busy on Labor Day. 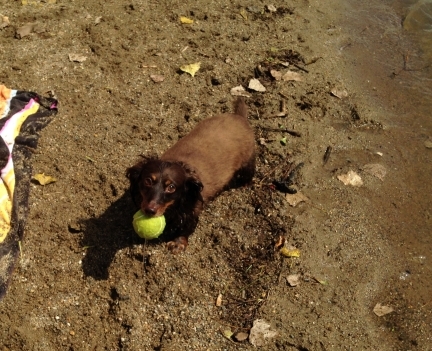 She had an absolutely great day at Gray’s Lake here in Des Moines. Maya had so much fun that she completely exhausted herself. By the way, she is wearing her Outward Hound dog life jacket because I worry that she will swim out too far or hide how tired she is and keep swimming. We went with some friends who have a cute little Dachshund named Honey. For more fabulously fun photos of dogs and other pets, click the link below for the Wordless Wednesday blog hop. This entry was posted on September 3, 2014 at 7:30 am and is filed under Dog Fun Stuff. You can follow any responses to this entry through the RSS 2.0 feed. You can leave a response, or trackback from your own site. So glad to hear you had a great day! Great pics, thanks for sharing! Aww, Maya is so cute in her life jacket. Ace loves to swim as well. Playing at the lake is such a great mental and physical workout. He’s wiped out after that. Everybody celebrates differently – happy to see Maya enjoyed herself. Awesome! 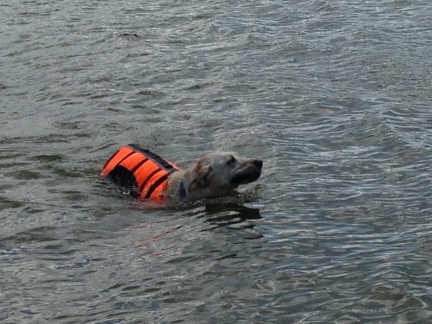 Glad Maya has a life jacket as a safegaurd! Cute. I forgot to wish Maya a happy birthday!